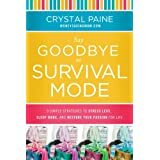 In the beginning chapters in her book, she specifically wrote about stop trying to do it all and focusing on most important priorities in our life. One of the big thing I learned when I was on bed rest when I was pregnant with Wesley was to prioritize. I am so thankful that I learned it before I had two kids otherwise I would be overwhelmed with many commitments and lost my patient easily. Starting when my first born turned two I got asked, "Which pre-school does he go to? You should put him in music, art, gym class, story time, soccer, awana, ..."
While I am sure, he could learn from all those activities, we didn't commit to any of those until he was four. The reason besides I love teaching him myself, I just had a baby and it would takes a lot of work if I have to bring the baby in tow to any those activities. We ended up having a blissful year learning at home, occational play date, and outing but that's about it. Max went to a bilingual preschool twice a week after he turned four. As for myself there are many great things that I can do, get involved, or learn: women bible study, volunteering at school, church, local non profit organization,... but I learned to be prayerful and careful, and double check with my husband before adding anything to my plate. a. 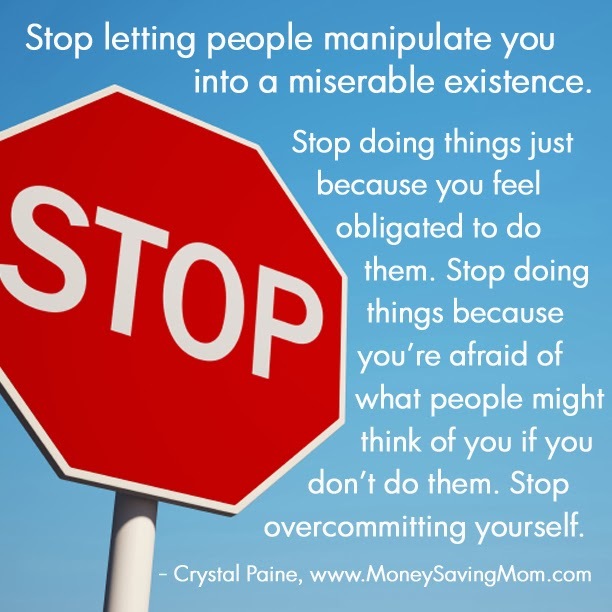 Stop trying to please everyone. Learn to Say "No". I am still learning this. Michael Hyatt has a podcast titled, How to Say No Without Feeling Guilty, which has helped me tremendously. If we don't set our priority then someone else will determine how we should spend our time. 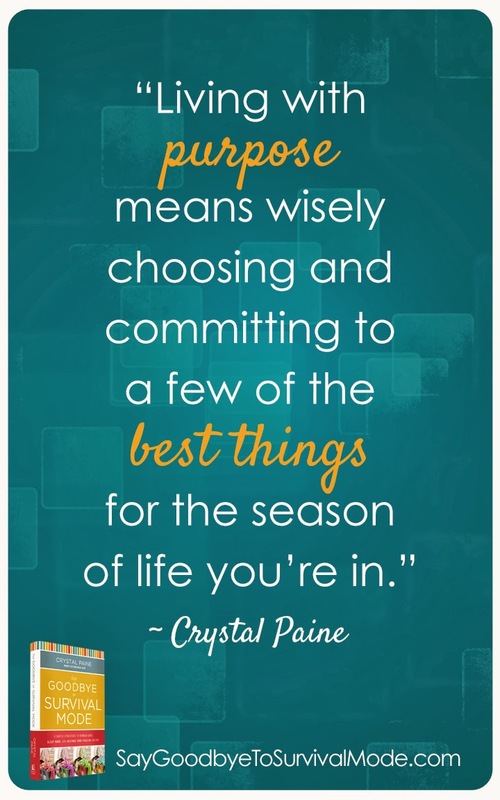 Crystal wrote this post titled Time Management: Determine What Your Priorities Are "Everyone’s list of priorities is going to look different because we’re all different with different family situations, different needs, different commitments, different struggles and different strengths and weaknesses. What works for one person won’t necessarily work for another. And what works in one season of our life might not work at all in another season." c. Find out our passion and gifts and focus on doing things we are good at instead of beating our selves for doing things we are not so good at. "I don’t apologize for being a writer, because that’s how God made me, and there’s no reason to justify His creativity. I’ll bet He made you for something, too, and you don’t need to feel sheepish about it. Perhaps you’re good at sewing, and you light up inside at the hum and whir of your sewing machine. Maybe you’re a runner, and you feel God’s pleasure when you do it. You might be the absolute perfect parent for the children you’ve been given, and there’s something they need that only you can provide in your unique way. Whatever it is, don’t wish it away. Be happy with how you’re made. And then exercise that gift. Share it with the rest of us."